The World of Tanks team is proud to announce the Clan Wars event "Armageddon." Armageddon involves bold new battle plans, secret technology, hidden areas, and heated battles. And you'll see all of it on the way to the goal -- obliterating the world's evil and heading for a new Global Map! Updated 6/5: Rules are posted! The world of the Global Map we used to know is doomed and faces imminent disaster after four years of constant global warfare. This disaster threatens to devastate of all the World of Tanks Clans. The only way to survive is to find a new home! However, no Clan has the technology to reach the new Global Map. But fortune smiles! According to secret data, a once mighty and dreadful evil empire defeated many years ago had the necessary knowledge to move between worlds. As it turns out, there are numerous secret bases from this Empire remaining all around the world, storing unique technology and inventions. One is an aircraft we've been unable reproduce based on the modern physics model: the Belluzzo Wheel (Flying Saucer). Clans will be seeking and seizing Belluzzo Wheels and delivering them to a new area: New Swabia, where the remaining Empire Forces are preparing for their own Global Map relocation. For this purpose, they built a secret spaceport and a series of supply reactors. Clans are to capture these facilities by destroying the Empire's forces. All game events will be based on a system of staged tasks each Clan receives individually. The results will be based on successful task completion. At the time of the Armageddon launch, two Global Maps will be available: the first map, designed for the event, and the second being the present Global Map with the standard rules. During Armageddon, any Clan may switch between maps or leave the map completely. By leaving a map, the Clan loses all of its provinces. As in previous Clan Wars events, Clans can receive Fame Points and players will earn Personal Fame Points. 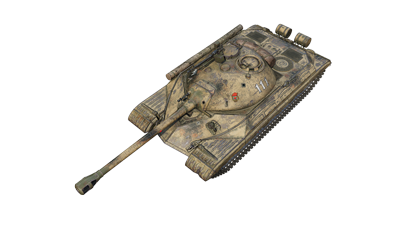 The trophy of the battle against the Empire will be a unique tier VIII Premium Tank -- the IS-5 (Object 730) with unique camouflage. 1,000 of them will be distributed to the best-performing players from the best-performing Clans according to the event results. Also, in order to increase the number of IS-5 owners and taking into account the increased interest in it, we'll provide the top 1,500 participants who did not win an opportunity to purchase the IS-5 with Gold. Thus the total number of tank winners will be increased from 1,000 to 2,500. Fight at least five battles on the Global Map during the Armageddon event. Win a landing tournament for a province in New Swabia. If completed, then medal awarded to all Clan members who are on the Clan roster by the end of the event. Complete the "Belluzzo Disk" task. Complete the "Operations Center" task. Complete the "Launch Platform" task. Defend a province from a Clan that has the same province as its target province. Capture and hold the "Spaceport" province in New Swabia at the end of the Armageddon event. Awarded to all Clan members who are on the Clan roster at the end of the event. In addition, these Clans will get territories on the new Global Map after its release. Get ready for a whole new world!